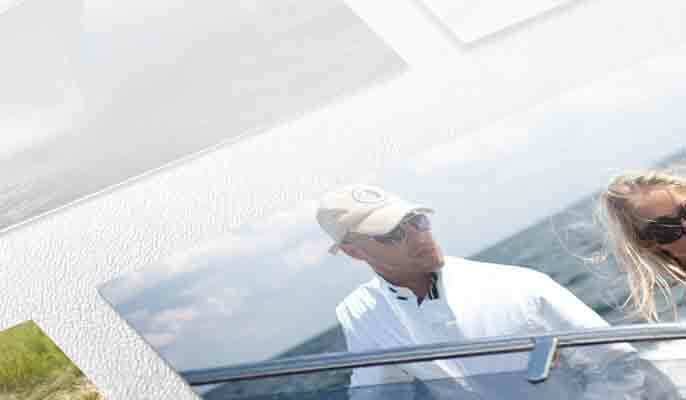 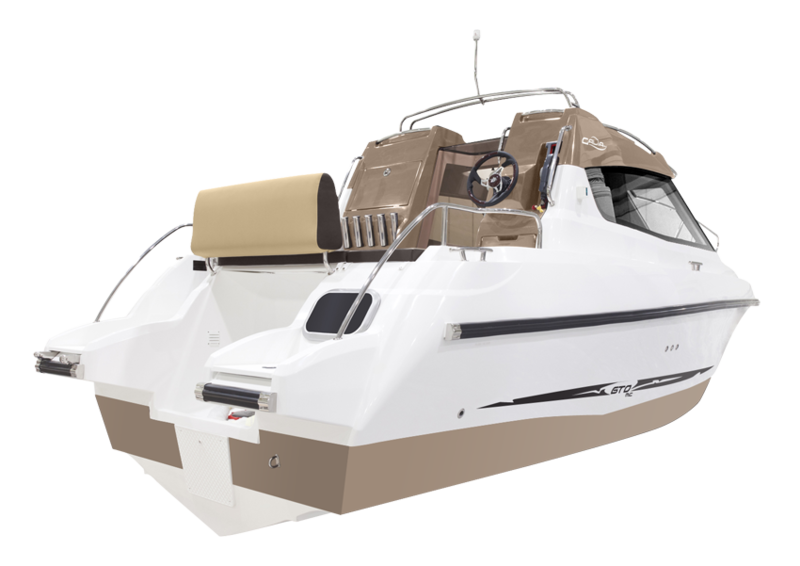 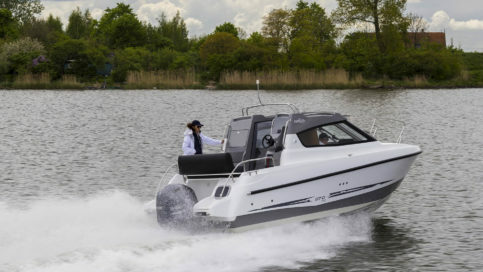 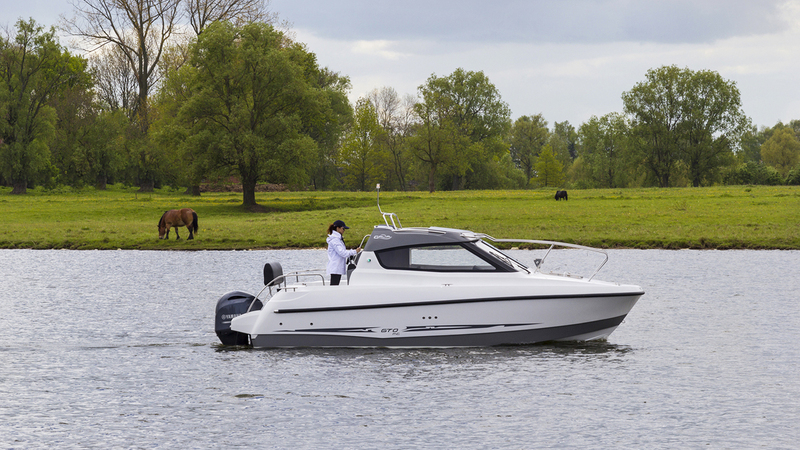 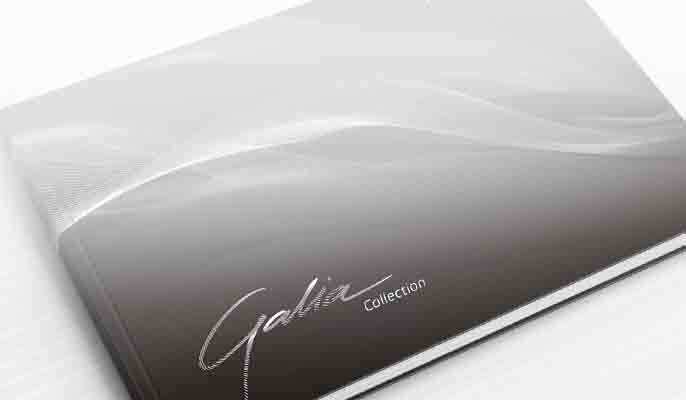 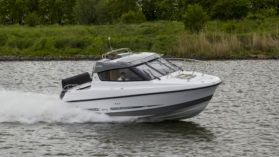 Galia 670 Middle Cabin is one of the most versatile motorboats on the market. 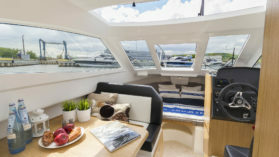 The large wheelhouse offers two double berths in the saloon. 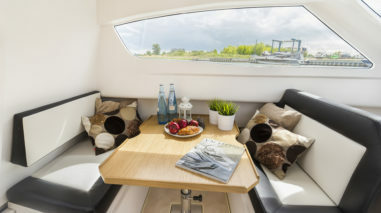 The small galley area comprises of a gas burner cooker, sink basin and a drawer refrigerator. 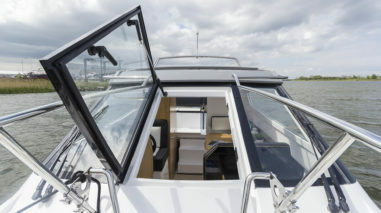 The private toilet has sufficient headroom for standing and comes standard – a welcome feature on a boat this size. 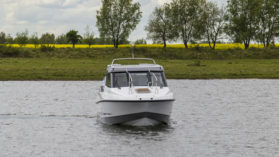 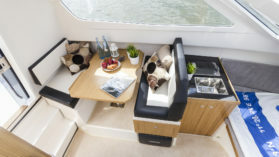 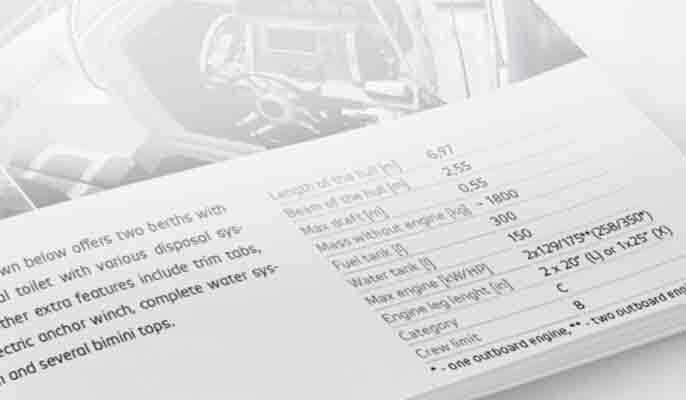 Space and functionality are key to the 670 MC design, from the large cockpit area with rod holders and extra steering to the three-part windscreen allowing easy access to the bow – all the crucial elements are present. 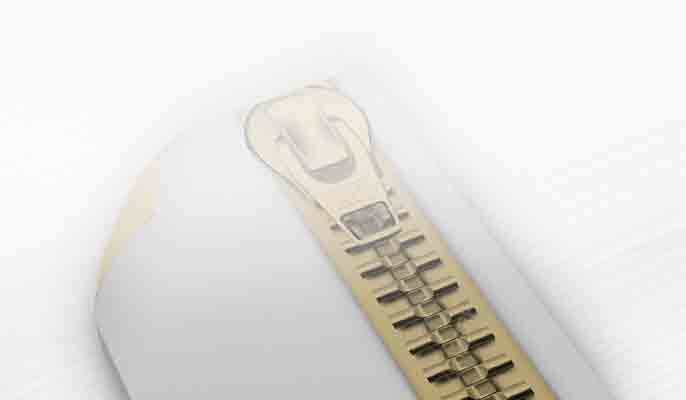 Extra equipment includes an electric anchor, water system and all color lines.